Other co-op partners include Trinity Health Michigan, the Henry Ford Health System and Metropolitan Detroit Area Hospital Services Inc. (MDAHS), the reports said. Under the arrangement, MDAHS plans to acquire a commercial building at 1150 Elijah McCoy Drive in Detroit. Their aim is to renovate and equip a new central laundry that will open in 2020. Each member of the co-op will enter a long-term agreement, committing to pay its monthly share, based on its proportional volume of laundry processed. Michigan Medicine anticipates providing at least 30% of the co-op’s volume. MDAHS plans to issue bonds to cover the costs of up to $49 million for the new laundry, payable over 11 years. The current University of Michigan Laundry was built in 1969 and university officials estimate it would cost roughly $22 million to refurbish the plant. They anticipate saving $400,000-$500,000 annually by sending the system’s healthcare laundry to the Detroit co-op. 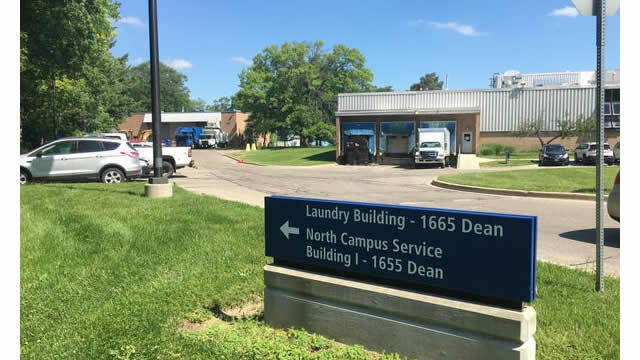 Laundry employees at the U of M facility will be offered jobs elsewhere on campus, university officials said. Click here for details.